As I said, it’s Logitech’s day today, and now it’s time for other companies to piggyback on all the goodwill. Dish Network has two main bits of info for us this afternoon: one, that it’ll be selling the Logitech Revue, and two, that if you’re a subscriber you’re potentially looking at a nice little discount. Nothing wrong with that. 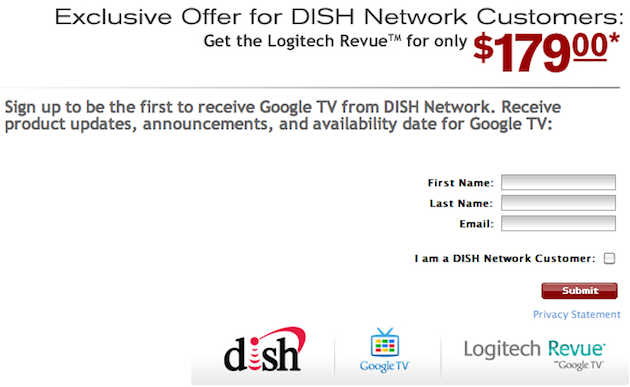 Should you qualify, Dish Network will let you have the Revue for $179—a full $120 off the retail price.